Steve Jobs said, "Innovation is saying no to a 1,000 things." Those are comforting words to association CIOs who find themselves in the unenviable position of being both chief innovator and the one who knocks down ideas. It takes courage to say "no" when fellow staff, your boss, or volunteer leaders bring you their "great idea." You have to perform the difficult dance of not committing to more than your organization's strategy and resources allow, while not being seen as the Department of No. You must stand your ground because bad or poorly conceived ideas waste time and resources you could dedicate to better ideas. The CIO's conundrum is this: how do you ensure good ideas come forward yet not over-commit your association's resources or stray off your strategic roadmap? The purpose of an association's IT project portfolio is that it describes the organization's current and planned technology projects. This portfolio is a living resource and should only contain projects that have been through a prioritization process. Before developing your IT project portfolio, you first must truly understand your organization's bandwidth: time + people + budget. Once you establish your capacity, you will know how many actual projects (innovations) you can manage at any one time. The next step is to work with a cross-functional team on developing a prioritization process that scores ideas and eliminates those that don't make the cut. This process minimizes the backlog of low-priority projects, preventing stakeholders from feeling disenfranchised because their project is on the backlog forever. A transparent prioritization process gives stakeholders an opportunity to understand why their project didn't get approved, so they can either improve their idea or abandon it altogether—both good things. Technology project portfolio management also provides an opportunity for your organization's leaders to allocate IT expenditures into the budgets of the business units behind the project—the ones who will use the technology. When staff feel the budgetary impact of their ideas, they are forced to think more carefully about their proposals. This approach prevents a common problem in associations: every technology project gets dumped into the IT budget. When this happens, only IT is forced to prioritize and say "no." With project-based budgeting, business units have a greater stake in the ideas and the outcomes. Consequently, they must advocate for and own the budget for their project. Having standard selection and prioritization criteria makes the project approval decision less personal. Staff understand why their idea can or can't move forward. For example, they learn that the new project can't fit into the mix given the association's constraints, unless what's already in the portfolio is reprioritized. Urgency: If this project is not completed, will it affect your organization's ability to function? External importance: If this project is not completed, will it affect your relationship with your members or constituents? Organizational importance: If this project is not completed, will it hinder your ability to achieve your mission and vision? Our Digital Strategy Toolkit for Associations & Nonprofits provides a sample of a Project Prioritization Matrix. As CIO, you want to encourage good ideas that align with your organization's goals. You don't want to shut down innovation or lose your colleagues' trust in your openness to good ideas. Start with strategy—the foundation for everything you do, and the basis upon which you say "yes" or "no." Develop and share a solid technology strategy and roadmap that are tied to the strategic goals of the organization. Refer to them when you have to push back on ideas that might be great and innovative, but not timely or relevant to the current state of your organization. Transparency is critical. Staff must understand how the project selection and prioritization process works. Communicate why IT leaders and the executive team make the decisions you do, as well as the constraints of time, staff, and budget you must work within. Don't give staff any excuse to think a hidden agenda or favoritism is at work. Keep staff updated on the progress of projects in process and report on the impact of completed projects. Allow some flexibility in your prioritization process so you can deal with requests that occur "off cycle." For example, if something big comes up during an annual review, there should be a way to prioritize the emergent project and slot it into the overall list. Create a process for bringing new ideas forward. Share the details of this process along with instructions for creating a complete proposal with staff, volunteers, and stakeholders. For example, a proposal should be more than a mere idea—it should analyze ROI, strategic or business need, audience, etc. Don't fall into the trap of chasing ideas championed by a vocal minority in lieu of good business analysis. Consider hosting a forum where staff can bounce around and catalogue good ideas. This exercise is a great way to keep enthusiasm going, build critical thinking skills, and innovate from the edges of the organization. Be gracious. Listen to staff even if you know their idea has no chance. Ask questions. Show interest and respect for what they're invested in. But be respectful of their time. You don't want someone to spend hours on a proposal you know won't happen. You do want them to learn and follow the process—their next great idea may be just around the corner, and you want them to have the tools to put their best foot forward. Be mindful of your delivery. We see IT people unwittingly fall into the insult trap all the time. What you think is honest criticism may come across as: "Your idea is stupid and won't work for a million reasons that I will list for you now." Pay attention to your language and try this approach instead: "This is a very interesting solution. Let's work it through. Would it support our mission? Would it integrate with existing systems?" 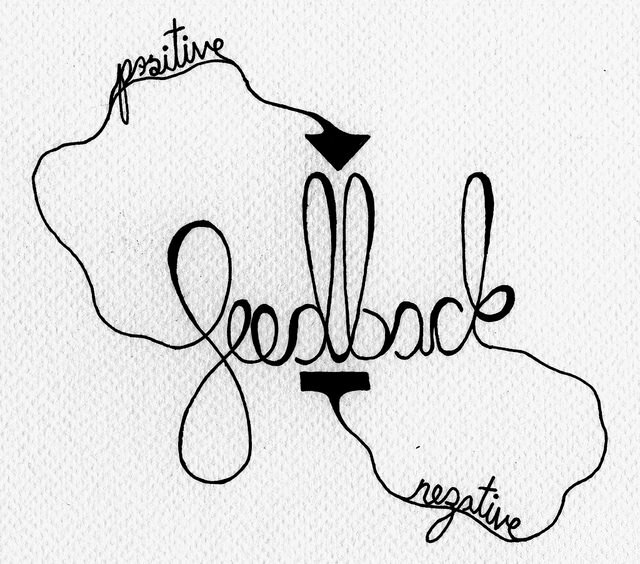 Make sure your assessment and feedback are business, not personal. Be transparent. "This won't work for a million reasons, none of which I will share with you." Again, wrong approach. How about: "I like the idea, but we simply do not have available budget for FY18." Be prepared. Even if a meeting is going to be about a ridiculous idea with no chance of happening, you still have to prepare. Understand the problem they're trying to solve. Be prepared to answer questions and offer alternatives. "No" has different meanings. Be clear about yours. No, not now—other priorities come first. No, not ever—it's not aligned with strategy. No, but have you thought about this instead? Help them identify reasonable alternatives for reaching their goal. For example, testing an idea via a minimum viable product, prototype, or pilot approach vs. jumping in whole hog. The CIO and IT department are both sheriff and coach. You're the sheriff who enforces your organization's priorities and policies—you're the one at times who must say "no." But you're also the coach who helps staff figure out how to most effectively select, implement, and use technology to get their work done, deliver value to your constituency, and achieve your organization's goals. Rooting your processes and decisions in organizational strategy and IT maturity will help you make better decisions—and act on them. Download our free whitepaper, Unleash Progress with Mature IT, to see where opportunities to improve lie within your department or organization.